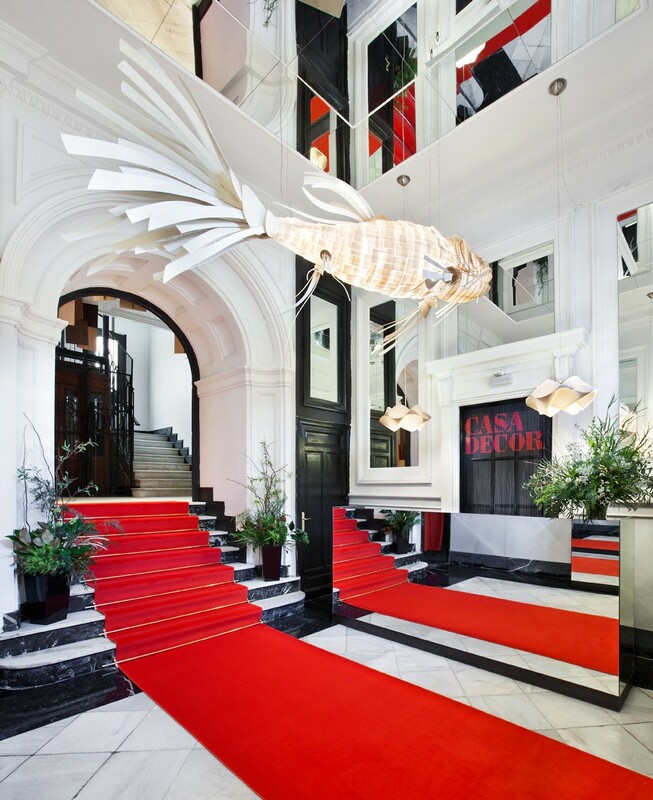 In its 54th edition, Casa Decor returns to its origins, the Salamanca district of Madrid, where 55 interior designers, architects and landscapers, in collaboration with a hundred companies from the habitat sector, have decorated the building on Calle Núñez de Balboa, 86. As explained in the official page of the exhibition, "the location is an example of the impressive homes that were made in Madrid, but "the facade shows a more avant-garde style than the classic twentieth century buildings”. Upon entering, at the box office, we find a space divider with Casa Decor logo reproduced on the chain. 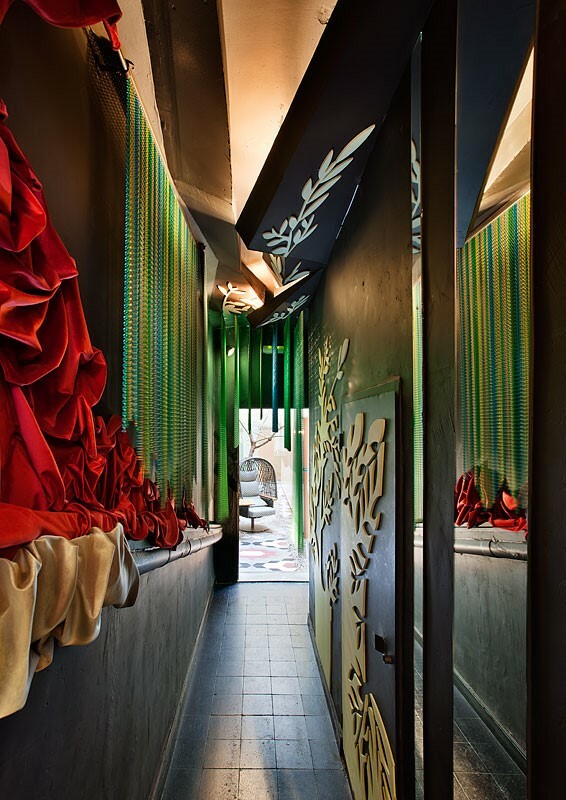 This space, designed by Gabriel Bautista and Andrés Ruiz, together with the corridor that leads to the interior courtyard, mixes magic, spectacle and imagination. 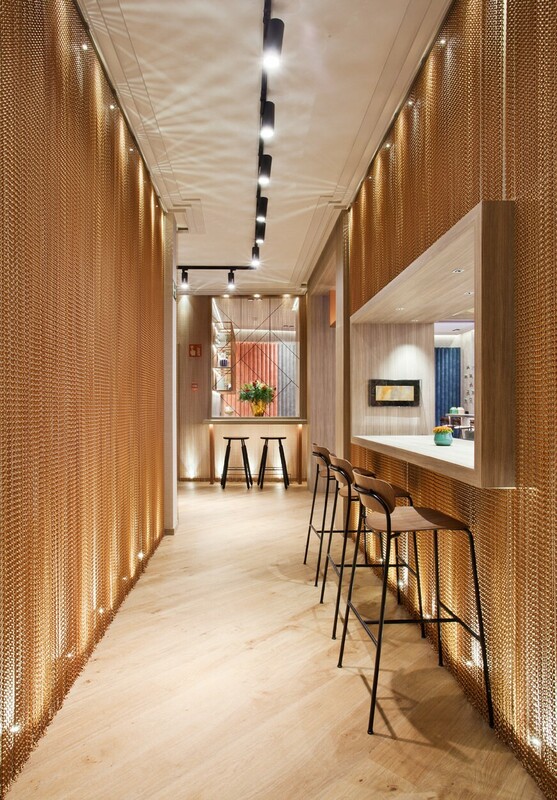 The modern and cozy restaurant of AC Hotels by Marriott, inspired by the hotel brand's own lounge, includes an aluminum wall covering, illuminated with great care. 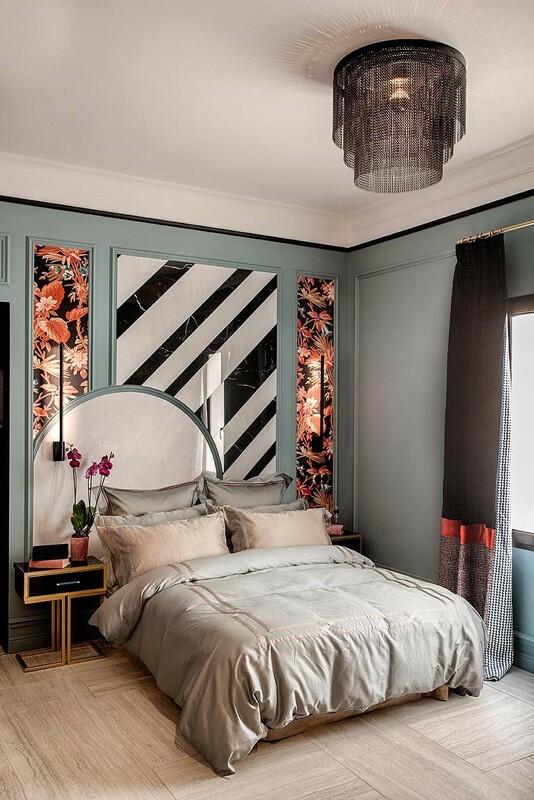 On the second floor we find the bedroom of Virginia Sanchez, based on the social phenomenon of the "Flappers" that emerged in the 20s as a result of the feeling of Carpe Diem derived from the First World War. The room reflects the lifestyle of independent women, transgressors and jazz lovers, who revolutionized the world of fashion. Among the different elements, a ceiling lamp made with anodized aluminum links. On the third floor stands the living room of the artist and interior designer Jaime Jurado. In this case, our contribution is the volume composed by six concentric layers in different tonalities that works as a lamp or point of light. It is very similar to the ceiling solutions that were included in the Sorli Emocions Shopping Center project. Finally, on the fourth floor, the Impar Capital space, which includes a Kriskadecor curtain that decorates the main bar with a special adaptation of the Earth pattern from Collection catalog.